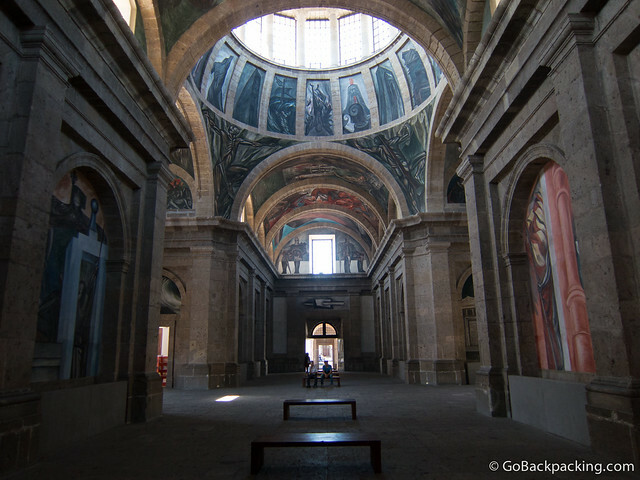 Located in Guadalajara's historic city center, a short 15-minute walk from the Cathedral, is Hospicio Cabañas, a UNESCO World Heritage Site. The Hospicio Cabañas was built at the beginning of the 19th century to provide care and shelter for the disadvantaged – orphans, old people, the handicapped and chronic invalids. This remarkable complex, which incorporates several unusual features designed specifically to meet the needs of its occupants, was unique for its time. It is also notable for the harmonious relationship between the open and built spaces, the simplicity of its design, and its size. As part of my new effort to visit more World Heritage Sites, I stopped into Hospicio Cabañas on my last day in Guadalajara. Admission is 70 pesos ($5.50), plus an additional 30 pesos ($2.40) if you want to take photos. The complex is an immense network of interconnected buildings, spaced apart by 23 courtyards. 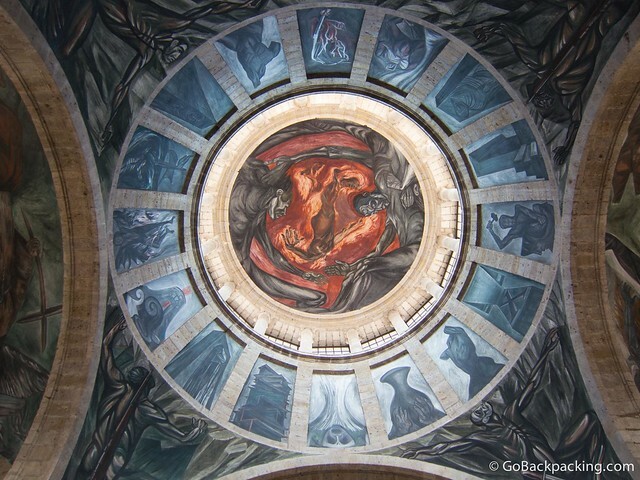 The main attraction is the chapel decorated with murals by José Clemente Orozco. 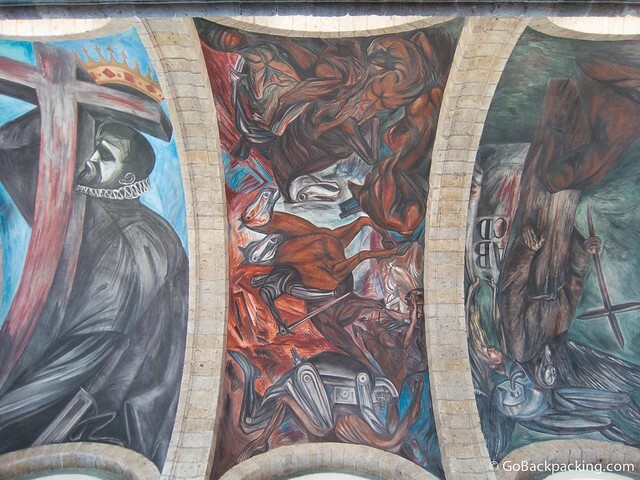 According to UNESCO, “Orozco's murals in the chapel represent in part the most symbolic and characteristic elements of the indigenous culture of Mexico (gods, sacrifices, temples) and for the rest those of Spanish culture (kings, monks, churches). The English brochure for the site includes very little information about the murals, so unless you're with a guide, or reading you'll have no idea what you're looking at. Still, I found his style aesthetically appealing, even if I didn't understand the themes. There's not much else to see here, aside from a few small galleries in the adjacent buildings. Hospicio Cabañas became a World Heritage Site in 1997.